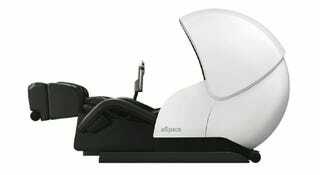 At $6,000, this OSIM uSpace full body massage chair better do what it says in addition to just looking all sci-fi and space Pac-Manish. According to the manufacturer, the chair fixes you using mood lighting, massage, and music. 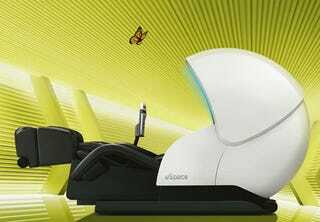 They say the uSpace has three different modes: "revitalize", "relax" or "balance" you.